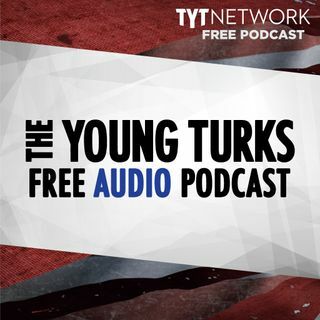 A portion of our Young Turks Main Show from February 22, 2018. For more go to http://www.tytnetwork.com/join. Hour 1: Student's question to teachers possibly carrying weapons: "Does this mean teachers have to be trained to shoot students?" The victims' families and survivors of the Florida high school shooting have not held back, calling out the National Rifle Association in the days since the massacre. On Wednesday, Dana Loesch, the organization's national ... See More spokeswoman faced them for the first time. Loesch said the organization feels the process for buying firearms is flawed and ensured the audience that the NRA is fighting for them. But the crowd booed as she left the event. Democrats mulling how to approach gun control on the campaign trail this year are weighing their tough history on the subject against the burning politics of the moment. Hour 2: John & Cenk. Longtime National Rifle Association chief executive Wayne LaPierre Thursday addressed criticism of his organization following the Florida school massacre, and his combative defense included expressions of dog-whistle anti-Semitism reminiscent of the "Protocols of the Elders of Zion," with descriptions of a powerful plot to destroy America's freedom by "European-style Socialists" who he said had taken over the Democratic Party.